Reader Submitted: "Hilarious TP Error"
SL Video: "Easter Light Show by Mario2 Helstein"
Reader Submitted: Space Engineers "The Walkyure"
RFL News: Bid Me Bald Team Challenge Results. SL Video: "Always On My Mind"
Teleporting around is a pretty convenient way to get around Second Life, and when getting between places not connected, sometimes the only way. But sometimes, things go wrong. 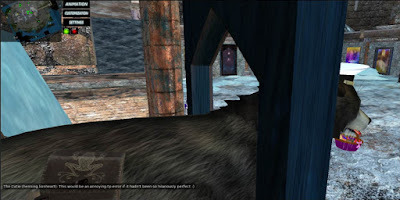 When Henning Lionheart tried going to Fairelands Junction, he ended up inside one of the mirrors. From the outside, only his head, and the basket he was holding, showed. "This would be an annoying TP error if it hadn't been so hilariously perfect." 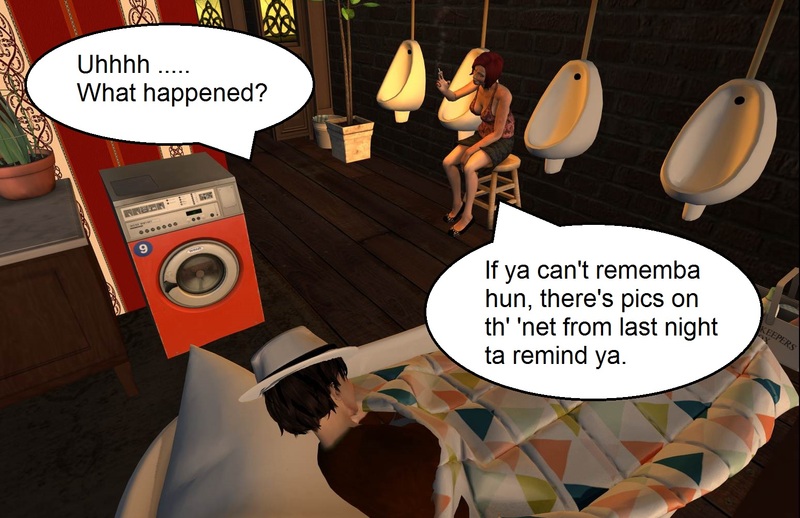 It's been almost two weeks since Linden Lab admitted what many residents had suspected for a while, that residents were having more issues on the Grid, notably teleporting between sims or walking between them. 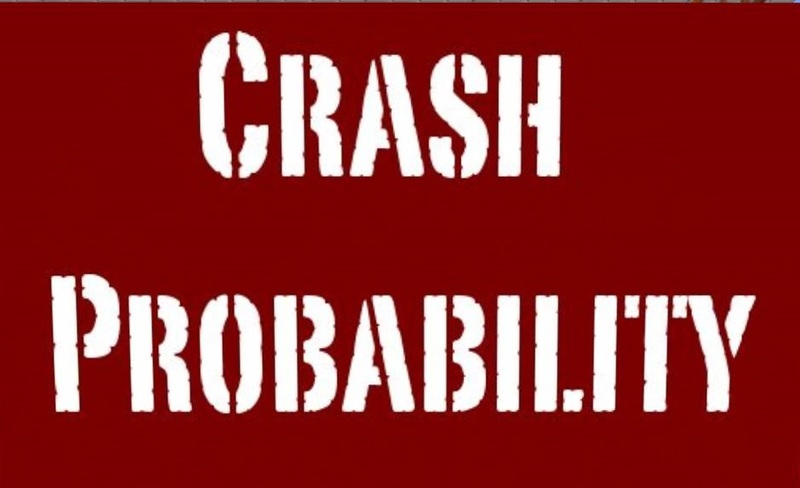 However, the Lab may have identified a cause of the trouble. 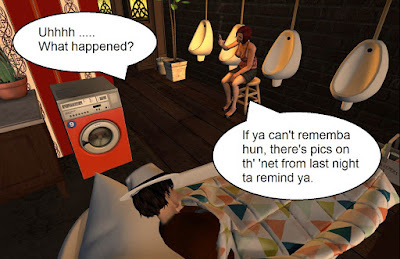 Inara Pey recently wrote that last week on Thursday April 18 at the Content Creation User Group meeting, Vir Linden stated the problem might be an update of theirs on the servers for Linux OS. "Yeah, we've been having some issues on the simulator side where people tend to get disconnected between teleports, it's been common enough that it shows up as a significant blip in our stats. And that issue seems to have come along, basically when we upgraded our version of Linux that we're using on our simulators. So we've had some rollbacks there, just to try and get that issue to go away. "That kinda pushes out the timeline for (deploying) all the things based on Jessie, the later version (of Linux) that we're trying to update to. Hopefully we can get those out soon, but I can't tell you anything about the timeline. ..."
So now that the Lab says they might have found the cause of the trouble, will this soon mean not so many issues on the Grid? Time will tell. 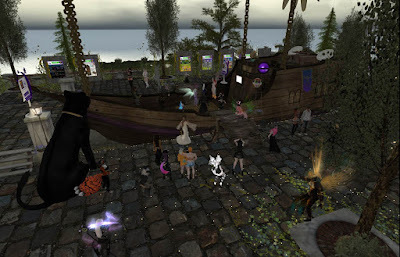 On Saturday April 20, the Relay for Life teams Sunbeamers and Meli's Maniacs held a joint event at the Happy Vixen beach club in Purrfection Estates. For six hours, three DJs, DJ Geerkil, DJ Snowbuns, and DJ Tech, played for the crowd as Lindens were donated into two RFL kiosks, one for each team. The theme was Purple, so every two hours people voted on who had the best purple avatar and/or outfit. A number of other Relayers showed up, including four members of the Roos With a Dream team whom danced away in kangaroo avatars. At the end of the event, Meli's Maniacs had raised 14,665 Linden dollars, bringing their total to 70,451 Lindens. 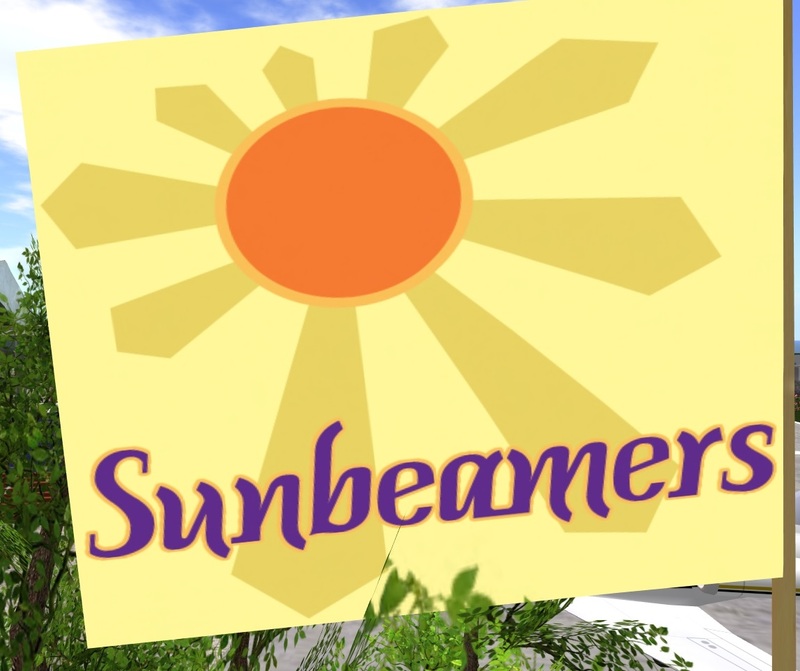 Team Sunbeamers raised 27,599 Linden dollars, bringing their total this year to 181,500. The event raised a total of 42,254 Linden dollars (about $168 USD). The Sunbeamers/Meli's Maniacs combined RFL event yesterday was a success. 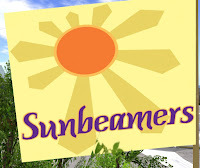 The Sunbeamers raised over 27.000 Lindens, and the Maniacs over 14,000, with a combined total of over 42.000 Linden dollars. Thank you those who helped run the event, and those who donated. This wasn't the only fundraiser done by Team Sunbeamers recently. Team Captain Rita Mariner's "Bid Me Chipmunk" netted the team about 4000 Linden dollars. The catch was that Rita is stuck in an anthro chipmunk avatar for a week, which has led to a few "Captain Chipmunk" jokes, due to that and the name she uses while gaming online sometimes. In the meantime, the Relay goes on, with the big event at the moment being the Fantasy Faire. 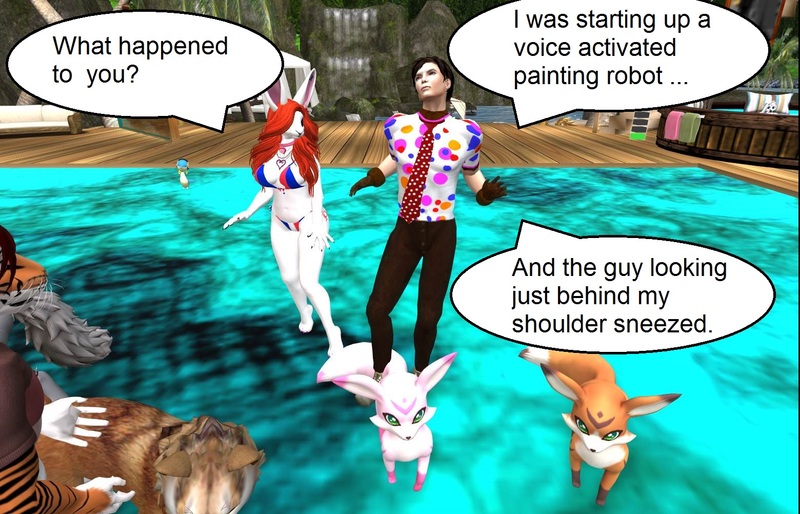 For now rather than have big events, the "'beamers" will enjoy themselves at the Faire and wait for the Lindens to fix the "TP crash" bug before coming up with something new. But later on in May, "The Little Team That Could" will come up with something to get to Platinum Level. It's just a question of what. 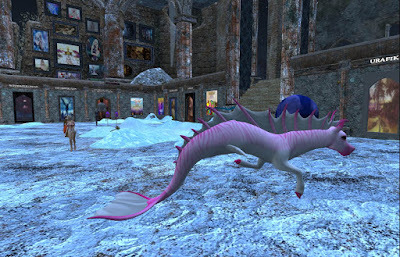 But before we make our trek to this year's amazing @Fantasy Faire, we have more stories to share: fantasy, sci-fi, Fantasy Faire of Second life (benefiting Relay for Life) explodes onto the SL grid this week: a cacophony of shopping and events of all kinds. 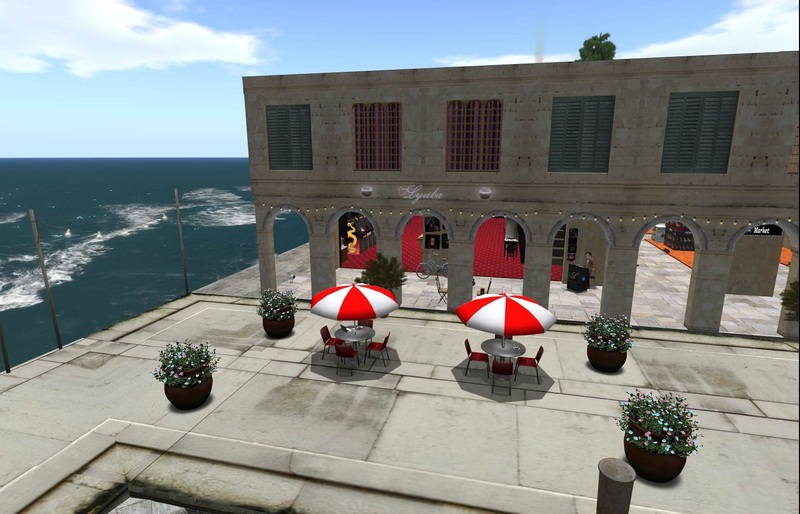 Join us for another week in #secondlife, and on our properties in #kitely, live in voice. This week, we make our annual odyssey to Fantasy Faire in support of Relay for Life. We are pleased to share that the Seanchai Library community has collected over L$75,000 to be used as matching funds for event challenges at Fantasy Faire. Thank you everyone for embracing this idea and making it flourish so far beyond what we imagined. We'll have more to share on this later. All Seanchai session at The Faire will take place at the Faire's LitFest home region of Trollhaugen, in the Trollmoth event space. ** MONDAY, April 22nd, at 7pm: SELECTIONS FROM THE WORKS OF URSULA Le GUIN. 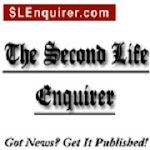 Gyro Muggins presents selected excerpts from two different works by the late author. In “Left Hand of Darkness” a human envoy arrives on the planet known as Gethen aka “Winter.” In “The Lathe of Heaven” a battle of wits ensues between a psychiatrist and a patient with psychic dream powers. **TUESDAY, April 23rd at 7pm: NOTHING BUT TROLLS! from Neil Gaiman to J.K. Rowling, as well as more traditional adventures, Caledonia presents a troll's eye perspective, live on stream. late Ursula K.Le Guin with two stories from her vast canon of works: “CatWings” and “The Rule of Names”. Taken at the Happy Vixen. The theme was "Spots," and there's not many options for guys when it comes to spotted outfits. So there was this. The response from one person, " I swear,I think a bunch of paint cans and paint brushes ganged up on you (grin)." The Fantasy Faire is in full swing. A lot's been going on, but I've had a little time to stop by, and take a few pictures of the sights. The place has always been a visual treat for yours truly, with lots of scenery. Sometimes the avatars themselves are an attraction, with new varieties I've never before seen. There are a number of events to attract people, such as this music party. But there are others, such as discussions, tours, and more. Unfortunately, with all the people around, those with slower machines may need to wait until later in the evening, or arrive earlier in the morning. There's also the "TP disconnect" issue that continues to affect people. Team Sunbeamers and Team Meli's Maniacs are getting together for a six-hour music extravaganza with three great DJs. Join us at the recently renovated Happy Vixen Beach club as DJ Geerkil, DJ Snowbuns, and DJ Tech spin their tunage for a great cause. The theme is "Best in Purple," and near the end of each of the three sets we'll have a vote to see who's best in theme. As this is a charity event, the tip jars for the DJs, hostesses, and dancers will be inactive. 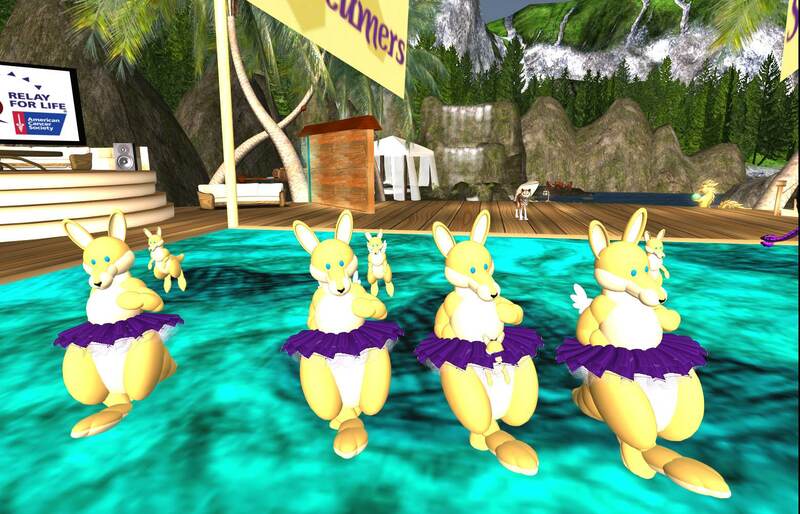 All tips go to the Relay for Life in Second Life. To keep things fair, the winner of the first contest will have to sit out from entering the contest board on the second. 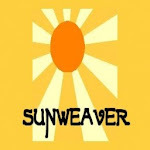 To make things interesting, two of the Sunbeamer team, club owner Nydia Tungsten, and Bixyl Shuftan, have offers for a "Platinum Avatar Challenge." 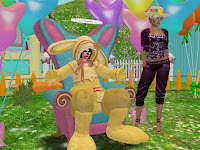 If Team Sunbeamers reaches Platinum fundraising level, 250,000 Linden dollars before the end of the event, Bixyl is offering to go pink for a week (something he *never* does) whenever appearing at club events or Relay events outside of the Fantasy Faire (everywhere else he can go back to normal). Nydia says if Platinum rank is reached, she will go Purple for a week. 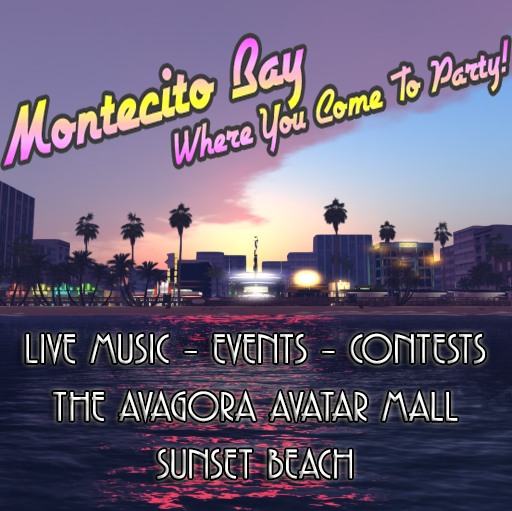 The event will be Saturday April 20, from Noon to 6PM SL time. 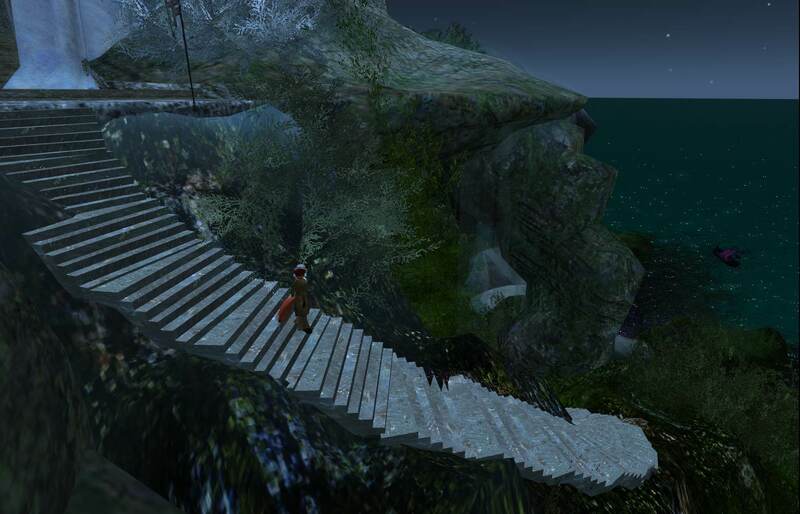 Strawberry Singh has made a name for herself as Second Life's most popular fashion blogger. A few days ago on April 12, she had an announcement for her readers. She had gotten a job with Linden Lab. Her position is Marketing Content Specialist. Going forward, this blog will no longer promote brands in Second Life as I don’t want there to be a conflict of interest because of my new position. 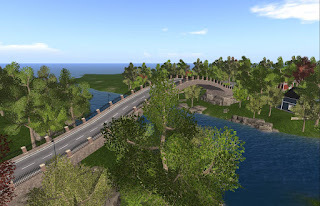 Therefore, I will no longer be sharing style credits or reviews on items inworld. 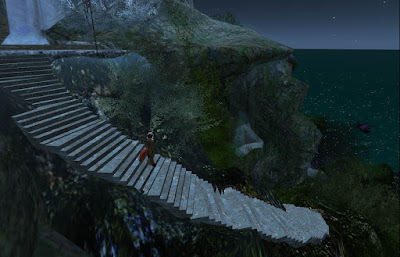 I will, however, continue to use this blog to occasionally do exploration videos of various Second Life destinations, other topics of interest, as well as specific announcements that Linden Lab might want me to make. As a skilled blogger, video maker, and photographer, there's no doubt she'll be a strong asset to the Linden marketing team. What she comes up with, we'll likely soon see. Yesterday, the CDS announced it was calling for residents among it's citizenry to run as candidates in it's upcoming elections for their Representative Assembly and office of Chancellor. Those eligible to run were listed in the CDS census a few days ago. You qualify to stand for office if you are listed on both censuses( April 6th and 13th) and no challenge is received and upheld to bar you from doing so. 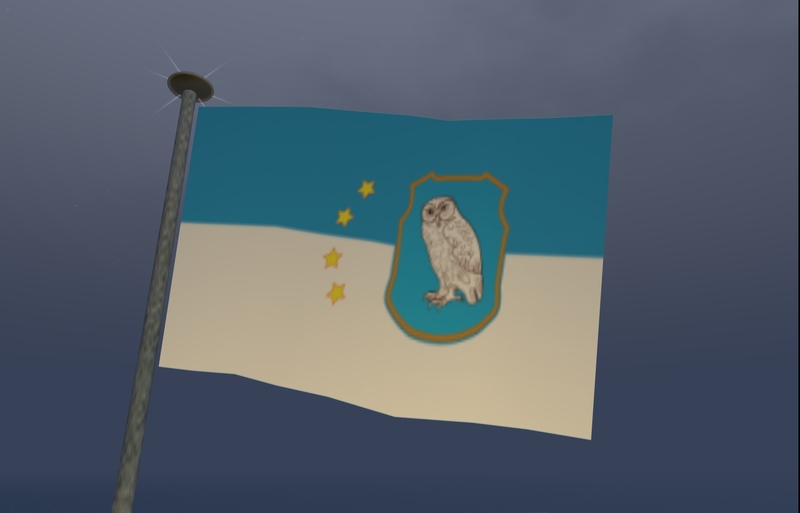 If you wish to declare as a candidate, send a notecard, inworld, to the inventory of the Dean, Roguegeek Cooperstone AND to Soro Dagostino, stating your name and whether you are running for Chancellor or RA . The Dean or Soro will post the names of candidates as they are received. CDS citizens have until April 30 to declare they're running for office. On May 1, the Dean will announce a list of candidates for both the Assembly and office of Chancellor. The campaign season officially starts May 4. On May 11, the polls open and stay open until May 17. Besides busy modding her outfits, Valkyrie Ice has been busy in the MMO "Space Engineers." 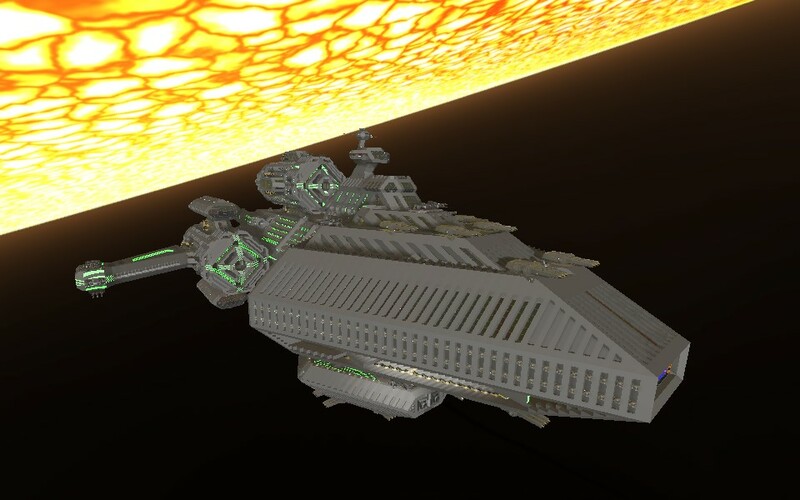 Here is a work of hers that took over a year to make: "The Walkyure, an exercise in large scale ship building." But as the game is in early release in beta, it has been subject to change. Among the changes were some that made the ship impossible to finish as planned, at least for now. Well, at least you can see what I spent over a year building, only to have SE's "PVP balancing" make impossible to finish. The Ship made to use the Leviathan Engine wings, The Walkyure was supposed to be a massive carrier ship, able to support multiple fighters, manufacture more at will, defend itself against entire fleets of pirates, etc. Instead, she's an unfinshed hulk that is likely to never be finished until Keen decides to make the game friendly to BUILDERS again, instead of PVP combat junkies. Oh well. If you have any interest in ART instead of blowing each other up, feel free to load her. 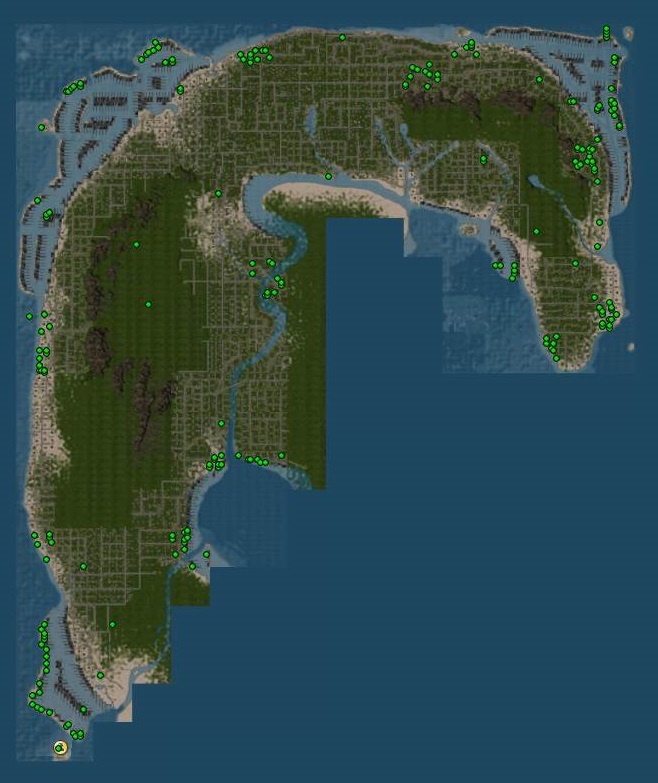 It's a world, and will load all mods. It's primarily Shao mods, with a few others for specific items. You can fly through most of her since the game has turned the majority of her into a ghost, and made it impossible to add any more blocks. 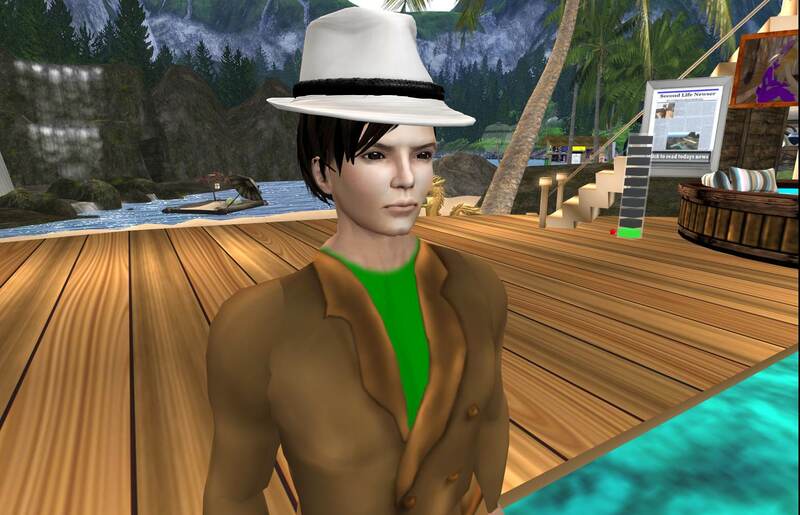 In Second Life, one can take on more or less whatever appearance they want to. But the most common avatars are human ones. So what happens when someone who usually appears nonhuman goes about in a human avatar for a while? Bixyl Shuftan gave it a try as a result of a Relay for Life fundraiser a few years ago. When he got requests to try another "Bid Me Human," he did so and was without his usually foxy look for a while. So how did people react? Read Bixyl's story in People. 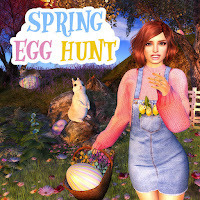 For those who like games, notably hunts, Linden Lab just announced "a most egg-cellent adventure." They're calling it their "Spring Egg Hunt." Spring is in full swing, and that means the birds are singing, the bees are buzzing, and those Glytches are … well glytching! 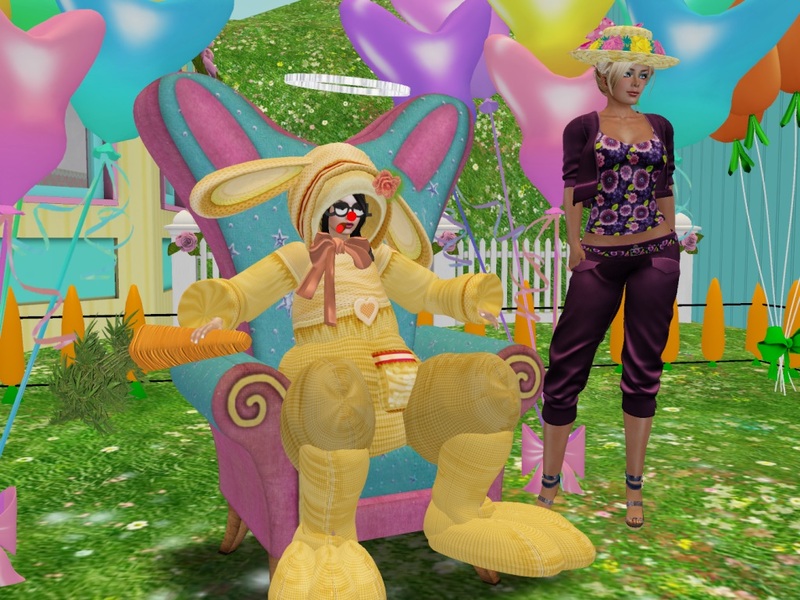 We've scattered special eggs around various Regions throughout Second Life. Your task is to find the eggs, follow the clues inside, and if you make it to the end of the hunt, you’ll earn an exclusive prize! This Spring hunt is only here for a week - so be sure to get hunting by April 24th, 2019 - or this prize will be lost forever. The first clue is at Hartyshire (129/122/23), the hub location of the Glytches game. But you won't be hunting any of the little critters. Instead you'll be looking for an egg. It isn't too hard to find, and when you do, you'll get a clue to the next location. Do not go directly there from the SURL. Instead, go to the sim via Portal Park. 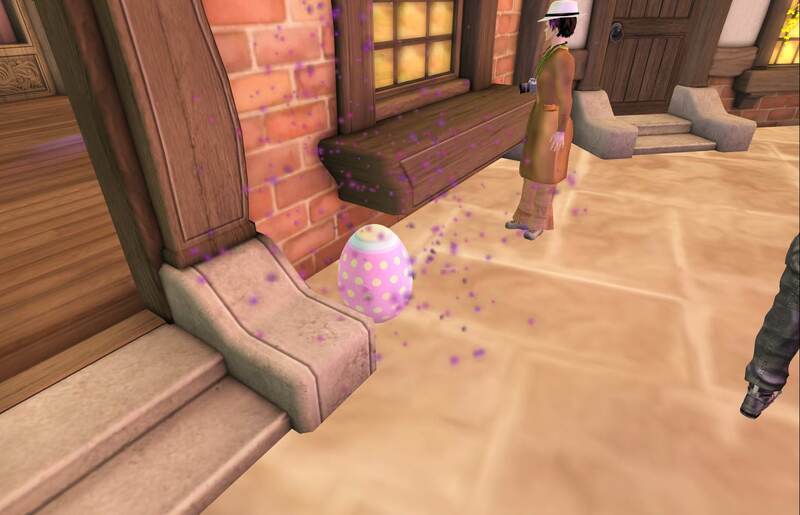 Once you find the egg and clue there, you can go ahead and directly teleport to the rest of the locations given to you. You should have little trouble finding the eggs, at least once everything rezzes as once the egg was among the last items to appear. The final clue, you get not only an egg but a gift package. So what's in the package? You get a chair, a garden shed, a couple benches, and a number of smaller, decorative, items. If you're not into gardening or home decor, oh well, it was a fun little hunt. The Egg Hunt ends on April 24, 2019. As far as Relay events, go, the Bid Me Bald Team Challenge, in which several teams put their hair on the line, was a complete success. The teams involved raised a total of 493,358 when the kiosks were stopped at the celebration party at Arinultra Cay at 3PM on Sunday April 14. Final Totals - BMB Team Challenge! Congrats all! So the Cure Chasers ended up making the Mieville Steampunks sans hair. At least they'll grow it back in time, as Bain Finch (bainfinch Resident) pointed out, "Hummm? 50 days + 5 days of Relay before we Relay in 55 days. Nice symmetry." 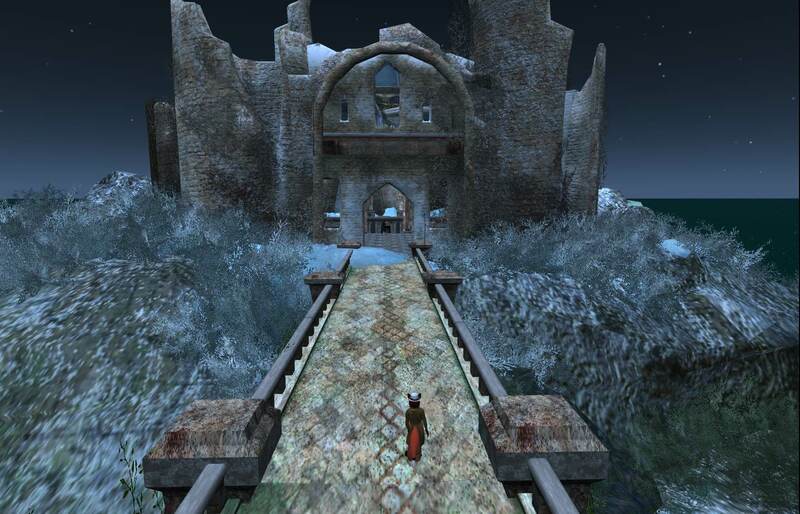 Idle Rogue, Second Life. 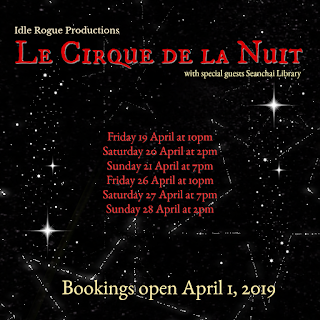 Magic sparkles across the skies above Idle Rogue as the beloved production, Le Cirque de Nuit awakens for 2019. 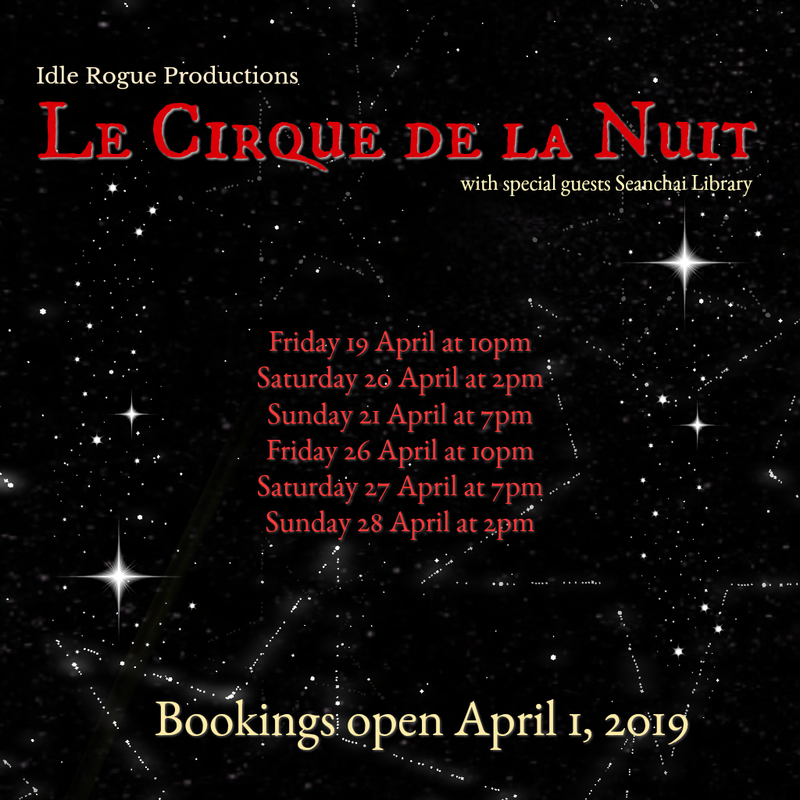 Basing their work on Erin Morgenstern’s novel, "The Night Circus", dance entertainers of Idle Rogue Productions lead enchanted audiences back into a steampunk circus that is refurbished, and presented, as Idle Rogue's flagship production each year. The 2019 Production is directed by Blaze DeVivre with the assistance of Sho Kyong.Morgenstern’s story, set in the 19th century and traversing Europe and the US, is an intrigue that sees a natural-born magician pitted in ruthless competition against a highly trained illusionist. The arena for their battle is a traveling circus, and each bout adds more dazzling illusion to the wildly popular, but always enigmatic, Night Circus. 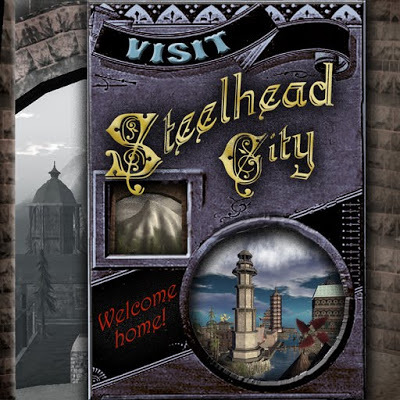 Idle Rogue is once again joined by special guests Seanchai Library, who will provide opening entertainment with a selected reading from "The Night Circus" by Caledonia Skytower, whose story-telling skills are unmatched in Second Life, adding a literary lustre our audiences thoroughly enjoyed in 2018. Seats for this popular production fill up fast. While there is no admission for the performances, seats must be booked in advance. Saturday Melody will be available online 24/7, beginning April 1st until all six performances are booked. Please contact her to reserve seat(s) and to be added to the access list to the performance area for your booked time and date. Timestamps of messages will determine the order in which bookings are processed. 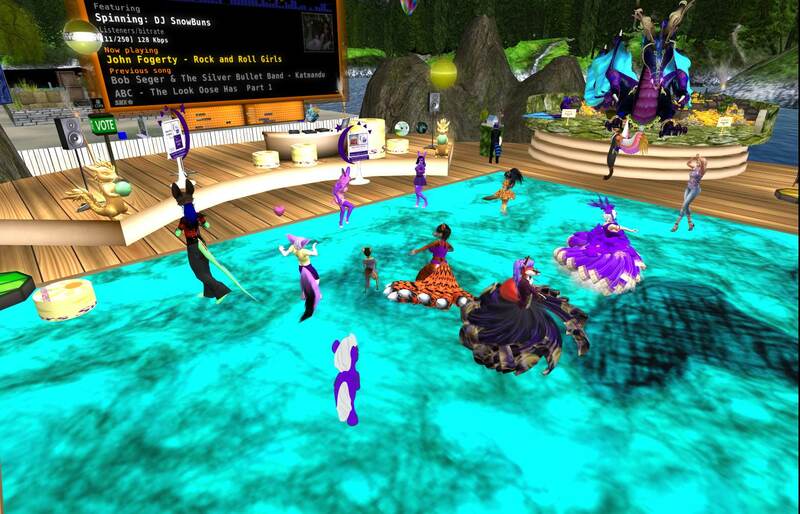 Audiences are reminded that dance entertainment performances rely heavily on the resources of the sim. Those attending shows can assist the show by reducing their script useage - removing non-essential HUDS, facelights and particles, and by checking for highly scripted hair and jewelry. This consideration is very much appreciated! Taken at the back of "The Blarney Stone" in Dublin. One of the problems of running a pub are the customers who overdo it. If there's no one to take them home, sometimes the best thing to do is find some place for them for the night. Easter is almost here. For some, the holiday is primarily a religious one. But both the devout and the secular have a love of chocolate, bunnies, bonnets, and other examples of fun also associated with the day. And at Laura Liberty's Easter Town, you'll find plenty of fun things to do. 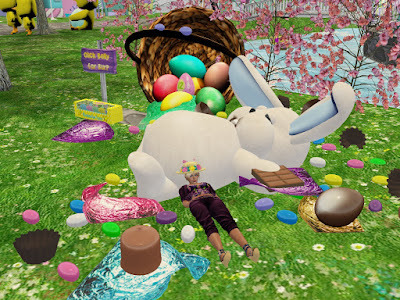 Besides the shopping, including gachas, there's also a balloon ride, a peeps race, an egg decorating contest with a prize, interactive builds, and of course lots of hidden Easter eggs to find. 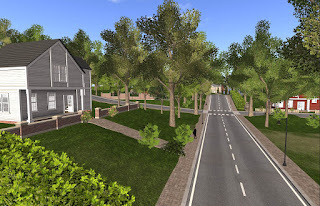 The sims with the new Linden Homes are now open. 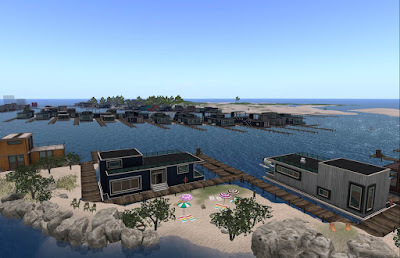 On Monday April 15, Linden Lab announced on the official Second Life blog that the homes were now ready for residents to move in. Let’s be honest - those Linden Homes from 2010 were long overdue for some updates and improvements. It was clear a fresh coat of paint and some new landscaping were just not going to make the amount of curb appeal we were shooting for. In fact, it was time to return to the drawing board and start a better-built Linden Home experience, from the ground up - literally. The first of several planned Linden Home updates launches today - with the introduction of New Linden Homes - exclusive to Premium members. Your new home may be in the mountains, along the shore, or in a rolling landscape of low hills and river valleys, but you’ll also be part of a large community experience, with navigable waterways, a network of roads, and community areas to socialize and have fun. There are two new themed styles in this release - Traditional and Houseboats - and some are twice as big as previous Linden Home offerings. While only Premium residents can claim a home, the land is open to all. People appeared on the new land, named Bellisseria by the Lab. Many quickly claimed some of the new homes. But not everyone was there for a new house, or houseboat. Some were just there to explore around. 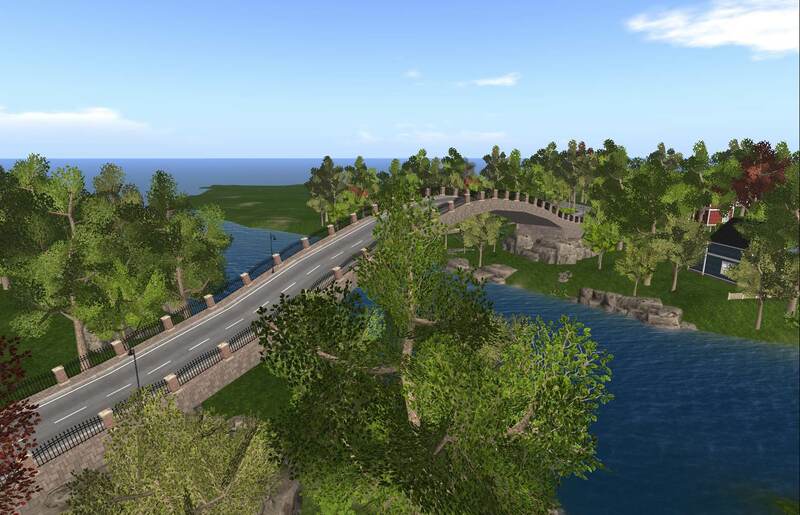 And the new land has much to see from rocky hill areas, to beaches and islands, trees, sandy areas with little grass, roads, including angles roads for people to drive uphill or down, bridges to cross, lighthouses, traffic circles, piers, and more. Thanks to a string of water sims connecting it to the landmass to the south, known as Jeogeot, as well as the water sims that connect it to the one to the north, Sansara, It's now possible to travel from Glade of Sorrows in the south west end of Jeogeot to the Fillip sim on the north edge of Heterocera without teleporting. So there's been lots of people walking, flying, and boating around. Someone did tell me they came across one new homeowner putting up a security orb, giving those flying about only a few seconds to leave or be teleported out. Fortunately for those who love to explore, this will soon be a thing of the past. 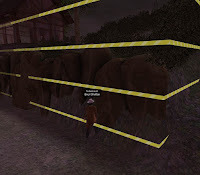 In an announcement in the forums by Constantine Linden yesterday, ban lines are not allowed here, and while security orbs are permitted for now, it's only for a few days. ... at 6am SLT on Wed April 17th, we are going to uncheck the box on the Linden Homes estate that allows parcel owners access restrictions to be more restrictive than the estate. Meaning: no ban lines. It's our belief that with a sense of community being a main goal of Linden Homes, ban lines send the wrong message. Parcel owners can still ban troublesome individuals by name on their parcel but they will not be able to put their land in virtual lock down by restricting access to group only. ... We want to allow Residents to fly, walk, drive, sail and explore freely across Bellisseria without compromising Residents privacy and security on their own parcels. To that end we are allowing the use of security orbs. However, since many orbs can be set in ways that preclude even the most innocent of straying across a parcel boundary or being sent home even though you are 500m in the sky we are forced to come up with a compromise. You may use your personal security orbs or devices in Linden Homes for now, but early next week: we are going to provide you with an approved device via the Linden Homes Content Packs. It will work just as aggressively in protecting your homes from unwanted intrusion, but still reasonably allow Residents to explore without fear of being ejected or teleported home without warning. 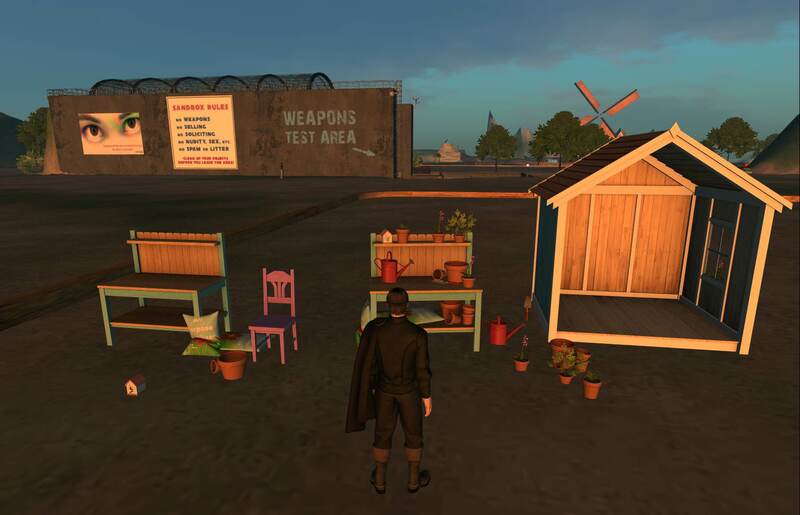 Once those are added to the Linden Homes Content Packs, the use of other scripted security devices will not be allowed and this will be noted in an update to the Linden Homes covenant. So finally a piece of Mainland free of those cursed ban lines and those security orbs that boot you out with little to no warning. Though with the "Good Neighbor Obelisks" being seen around, hopefully that will be less of a problem there too. On a final note, between the opening of the new land and the reaction to the fire at Notre Dame, a few stories we planned to write about got put on the back burner. We'll get to those soon. 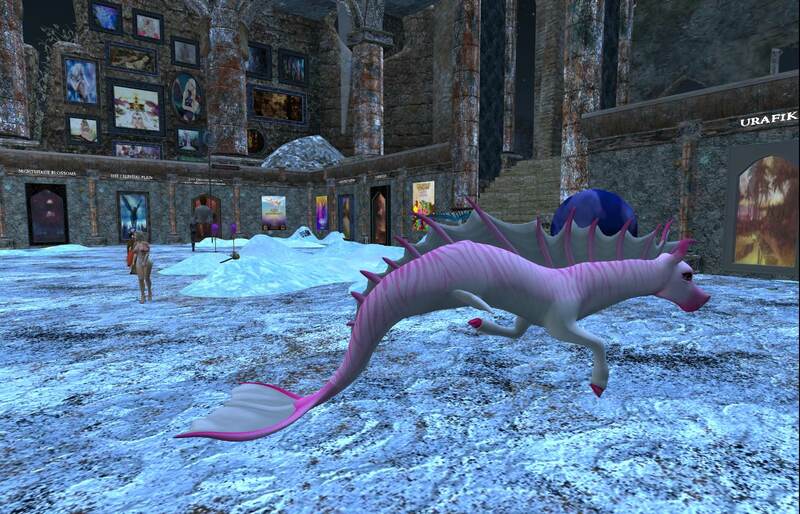 One of the more popular of the Relay for Life events, the Fantasy Faire, is almost here. There will be sixteen sims with plenty of scenery to explore. There will be numerous shops to get items from. There will be numerous events from book readings from roleplay discussions, and music and dance parties. There will be the Fairelands Quest game. There will be "Jail and Bail" events by the Fairelands Police, which include Jessica Lyon of Team Firestorm and yet to be revealed Lindens. And much more. The Faire opens at 11 AM SL time tomorrow, Thursday April 18. 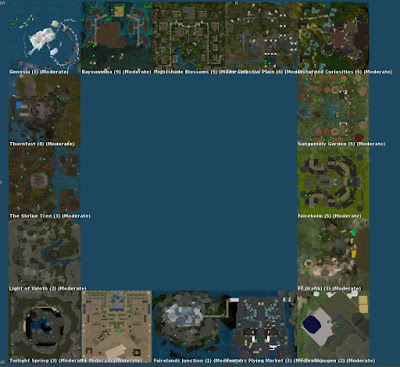 The events go on until May 5, with the sims remaining open for a short time afterwards. 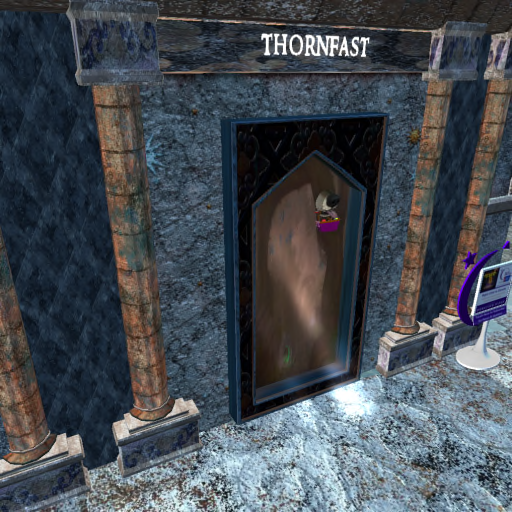 For more information, check the Fantasy Faire website at https://fantasyfairesl.wordpress.com/ .